Writing as the Rollin RN encourages me to define topics that are medically related to spinal cord injuries but I was felt compelled to share another topic today… MAGNET MOMENTS. It’s a simple topic but one I wanted to share. I find that our lives get so busy that we forget to stop and ruminate about the times we shared with family and friends. Recently I was rolling in our garage, when I stopped and gazed at the magnets on the front door of our 2nd refrigerator. 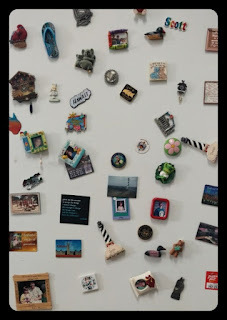 Our stainless steel fridge in the kitchen doesn’t allow magnets due to the specialized coating on the doors but I didn’t want to bag our magnets that have been collected for many years and toss in a cabinet or drawer. So they found their way into the garage on the spare refrigerator door. As I sat in my wheelchair looking at each magnet, they each brought back a vivid memory to mind. Others share their children’s school grades, drawings done by tiny tots, graduation photos…it’s a wall of recognition for many. It’s really mindboggling to ponder over your life just by looking at a door on the fridge. I gaze at our door and reminisce about the locations we have traveled…..Canada, Germany, Outer Banks, North Carolina, Gatlinburg, TN, Clearwater, Florida, many others……..ALL prior to my spinal cord injury. 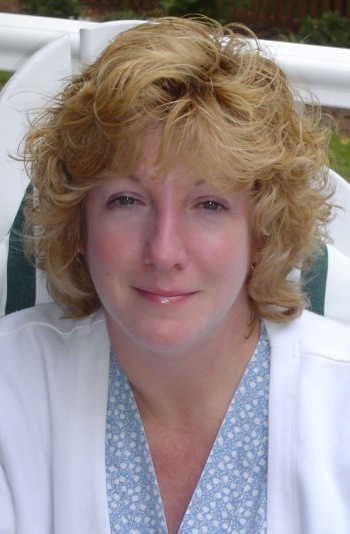 I remember the family photos collected and magnetized…..my husband on the beach pre-children, our oldest son starting kindergarten, our children with cousins enjoying a vacation, and several school photos of our sons. And then there are the magnets we received as souvenirs from others, the magnets each of us picked up as a memory of a special occasion or vacation, and the all-time favorites…..pizza ordering phone numbers. Actually some of our magnets date back 30 plus years. To further explain my thought process…..examine, really scrutinize your refrigerator door of magical magnets. A glance at each magnet should transform you to a certain date or location. Remember eating cereal as an adult and the taste immediately takes you back to your childhood when you had that cereal as a child. Well I get that the same reaction to each magnet. But as I survey the sights before me and reminisce, I realize there are no magnets since my spinal cord injury….why I might ask? We have traveled after my spinal cord injury while I was in a wheelchair. Could it be because we now capture pictures on our fancy cell phones…….never to glance at them again? Now is the time to start recollecting life’s little adventures as magical magnets to your fridge. I know I will, as I roll past our garage fridge, smiling. thanks for information in http://www.mobilewomen.org/2016/03/magnet-moments.html..